Softorino has been an innovative company, known for its various workarounds for transferring content into Apple devices, without using iTunes. Their first revolutionary product came in the form of WALTR (now called WALTR ORIGINAL), which let users to transfer music and videos from a computer to the iOS native Music and Videos/TV app, without requiring iTunes. Unsupported files are automatically converted to a format supported by the native apps, on the fly, without any quality loss. But they didn’t stop there. The second iteration of WALTR came as WALTR 2, and it brought a host of great features like Automatic WiFi, Automatic Content Recognition, Universal Connection Bridge, etc., which made the task of organizing and transferring content on iOS devices, as seamless and effortless as possible. WALTR 2 also included support for copying iBooks and Ringtones to the iPhone. Their latest Product SYC 2, brings the technology of WALTR 2, to a versatile video downloader that supports multiple audio and video streaming sites. Not only does it download videos, it also converts them to be compatible with iTunes or the native audio/video player on iPhone, iPad and iPod. It also fetches relevant video and music metadata, so that your content looks crisp and organized, wherever you keep them. We have worked together with Softorino to bring an exclusive deal for all our 7labs readers. 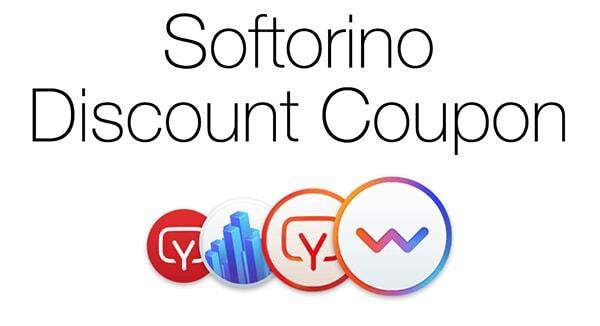 Softorino already provides a certain discount if you purchase any combo packs (for example, Double Pack or Family Pack) of any of their products, but with our exclusive Softorino discount code, you can avail an additional 10% off (and save up to 72%) on all Softorino products. All you have to do, is to click on the respective link below, and apply the following Coupon Code at checkout.